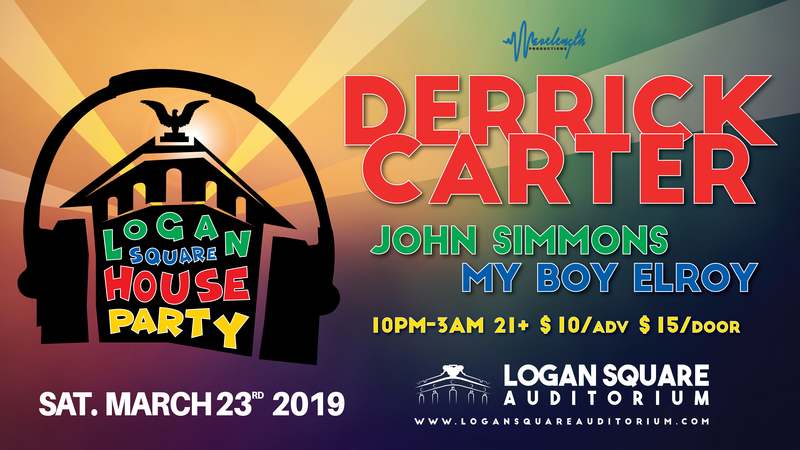 The next Logan Square House Party is going down!!! One of the pinnacles of Chicago house music’s ’90s wave, Derrick Carter began DJ’ing at the age of nine, spinning disco records at family reunions. Derrick’s sets are rooted in house, but he freely travels outside club tastes, seamlessly incorporating old-school disco, soul, jazz and whatever catches his fancy. His pioneering, innovative tracks and consequent critical acclaim have repeatedly marked Derrick out as once of the most important players in Dance music.